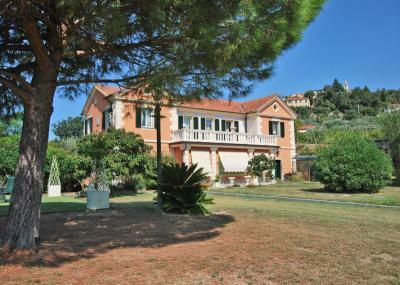 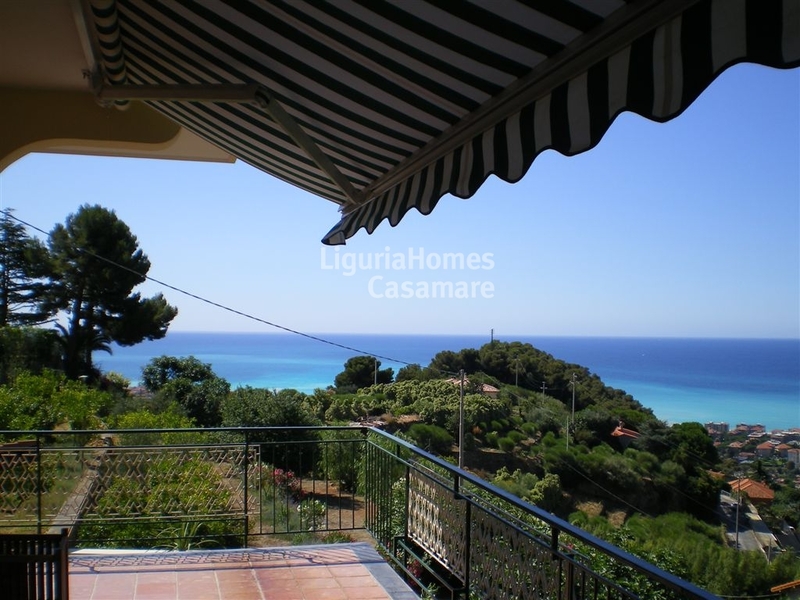 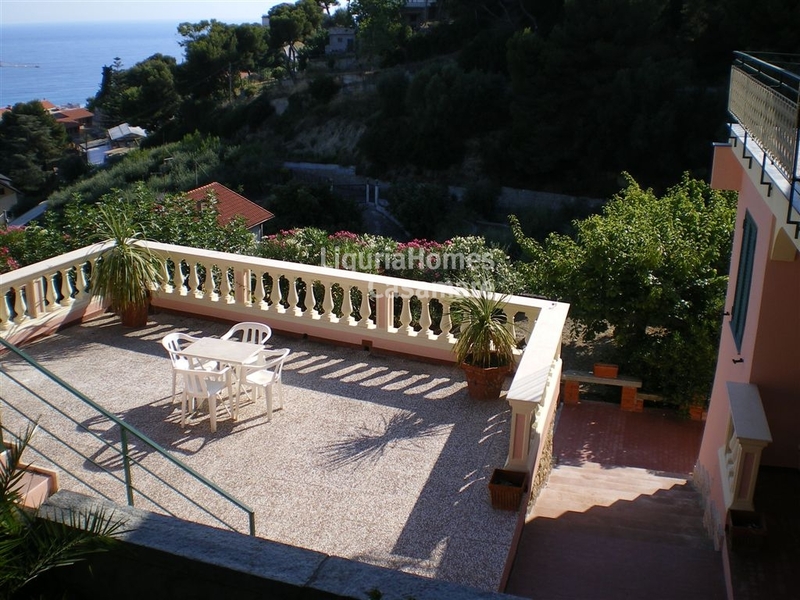 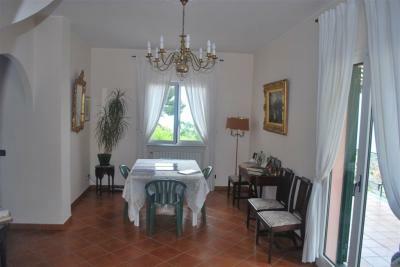 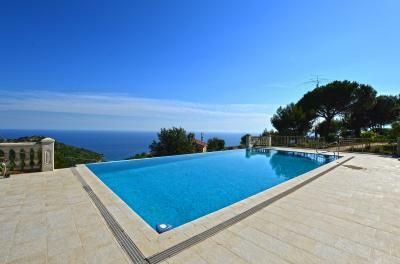 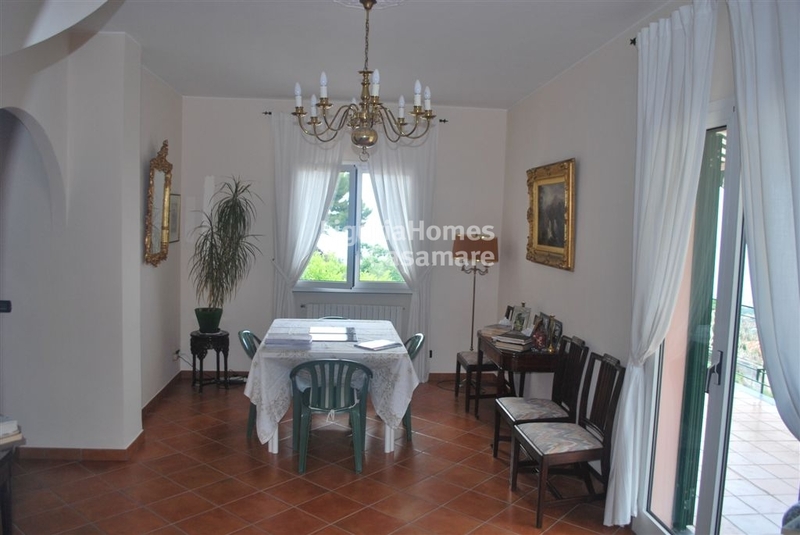 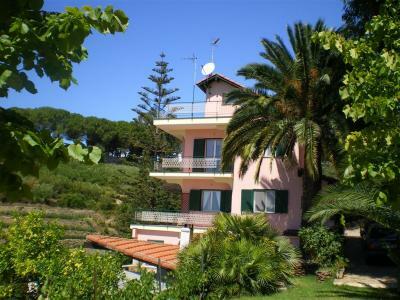 In the first hill of Bordighera, Villa for Sale completely restored inside and outside. 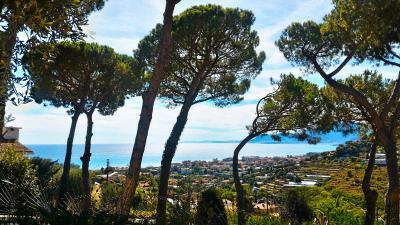 This Villa for Sale in Bordighera is situated in a panoramic position in a quiet area, not far from the shops and the beaches with a very good landscape where will be easy to build a swimming-pool. 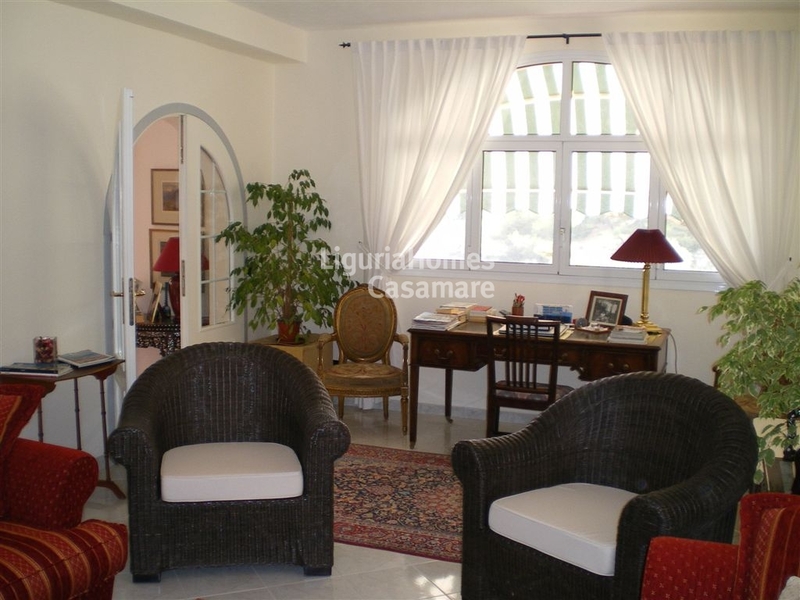 On the ground floor there are 2 apartments, one facing south characterized by original stone ceilings, living room, kitchen, double bedroom bathroom and beautiful terrace with a barbecue area next to the garden with sea view, the 'other facing west consists living room, kitchen, bedroom, bathroom. 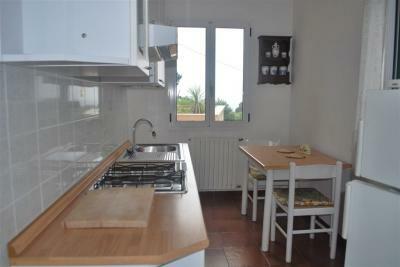 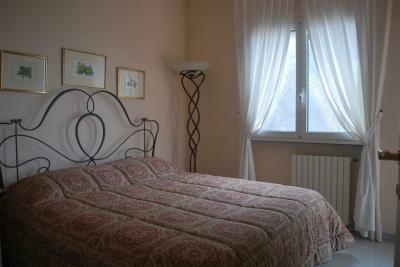 Dependance with living-room, kitchenette, bathroom and garden; perfect for guests or guardian. Parking area for 3-4 cars and land of about 3000 sq. m. with every kind of fruit trees and typical ligurian vegetation. 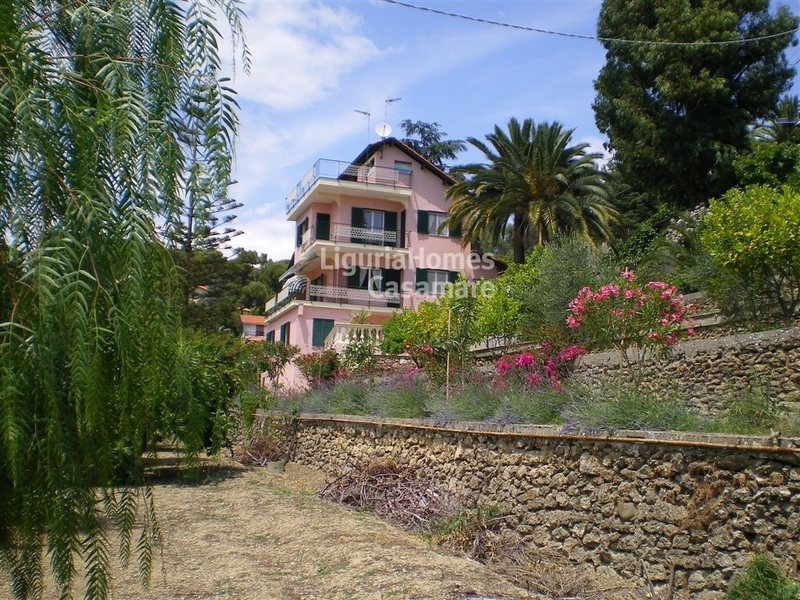 This property was completely restored at choice of the actual owner with a good finishing and who lives here enjoys a good view across the valley surrounded by a typical mediterranean hill, at only 1,5 km from the center of Bordighera.